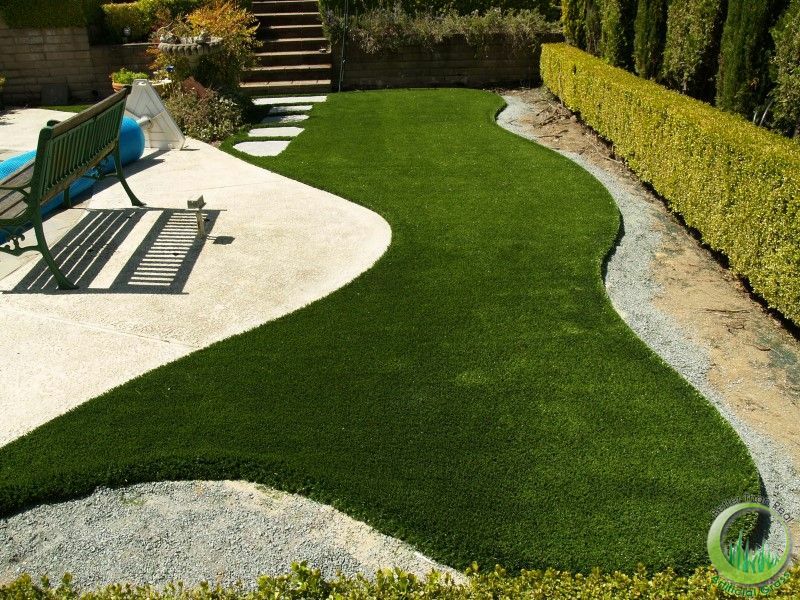 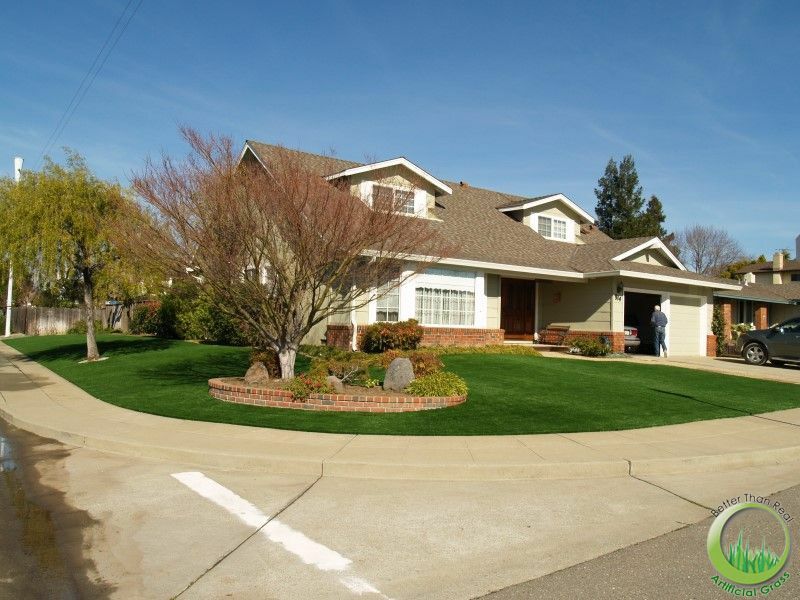 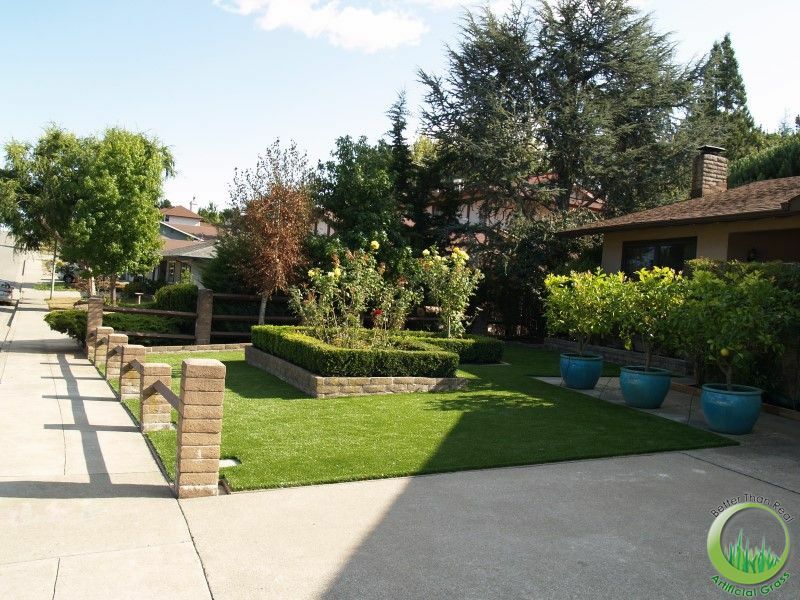 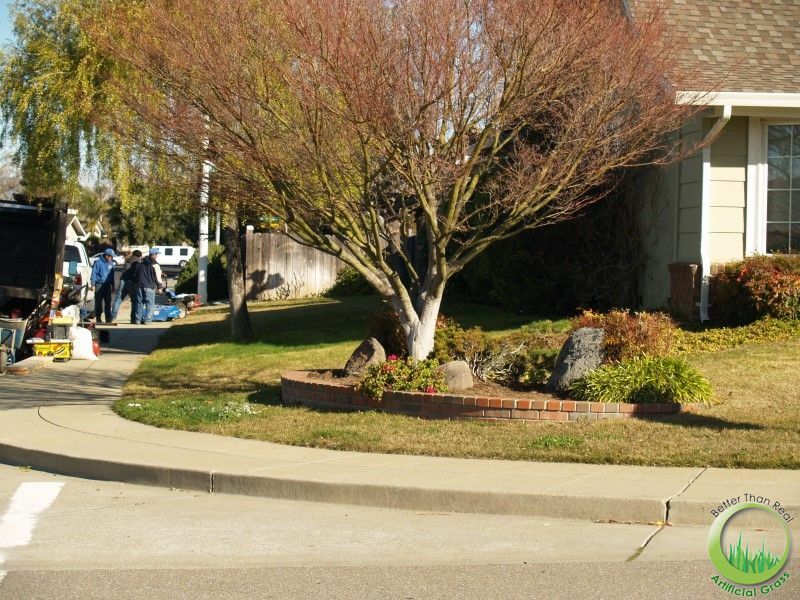 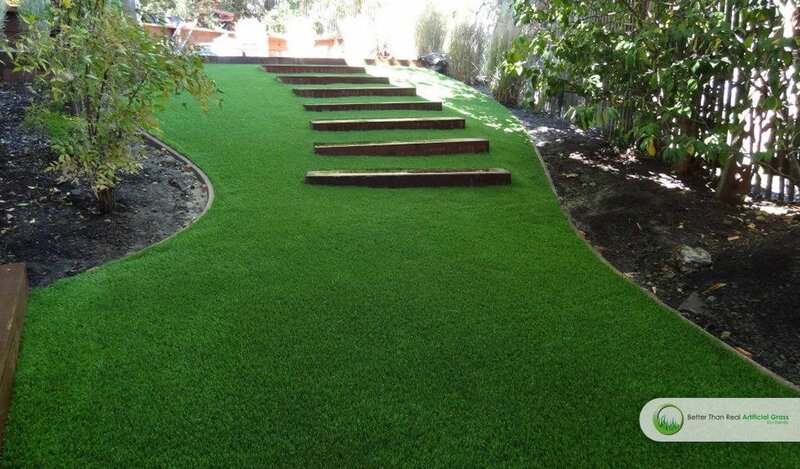 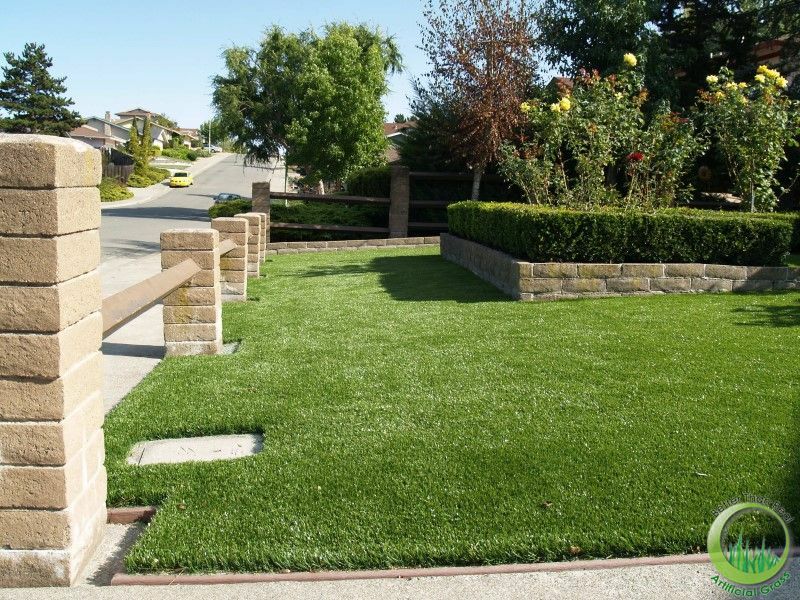 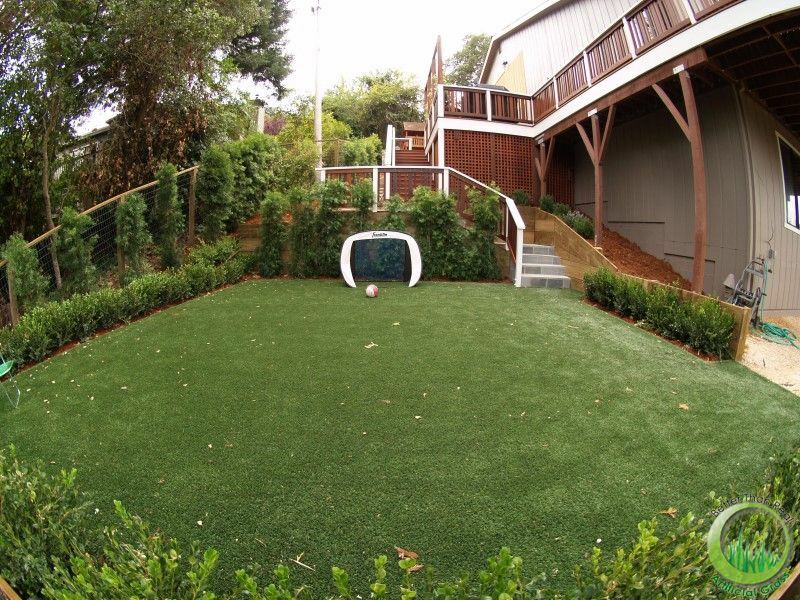 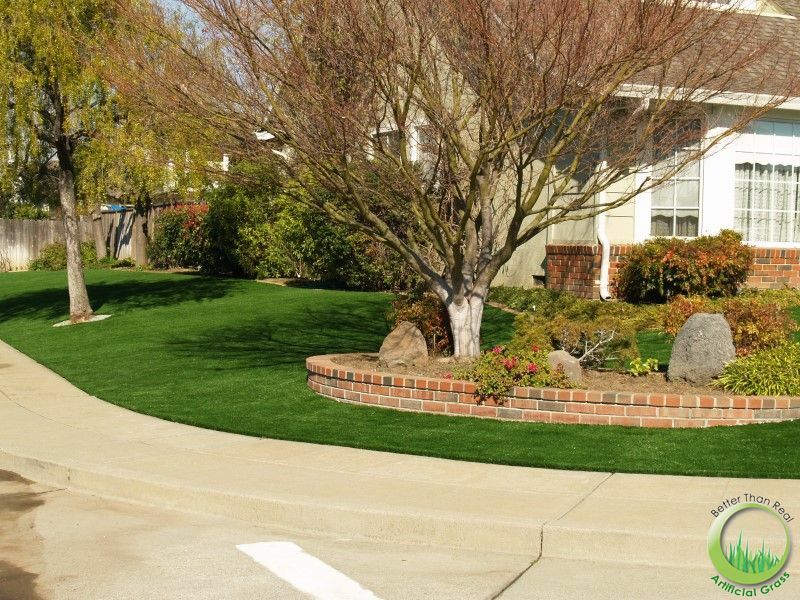 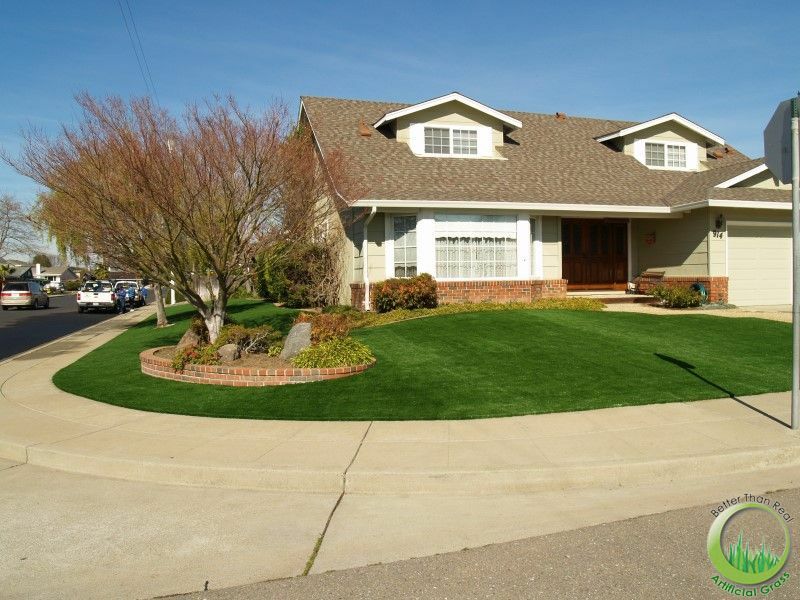 Oakland artificial grass installation: This installation of artificial synthetic grass turf & sod was performed in the East Bay for a local landscape contractor. 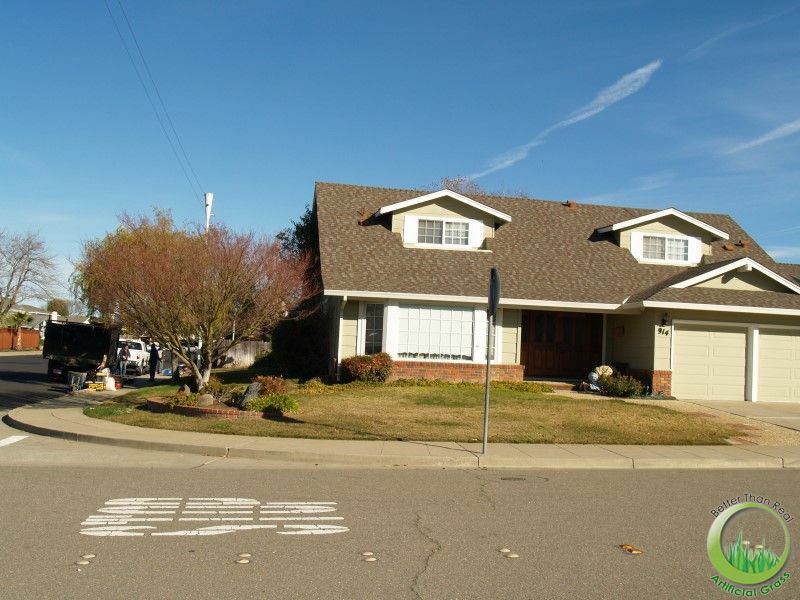 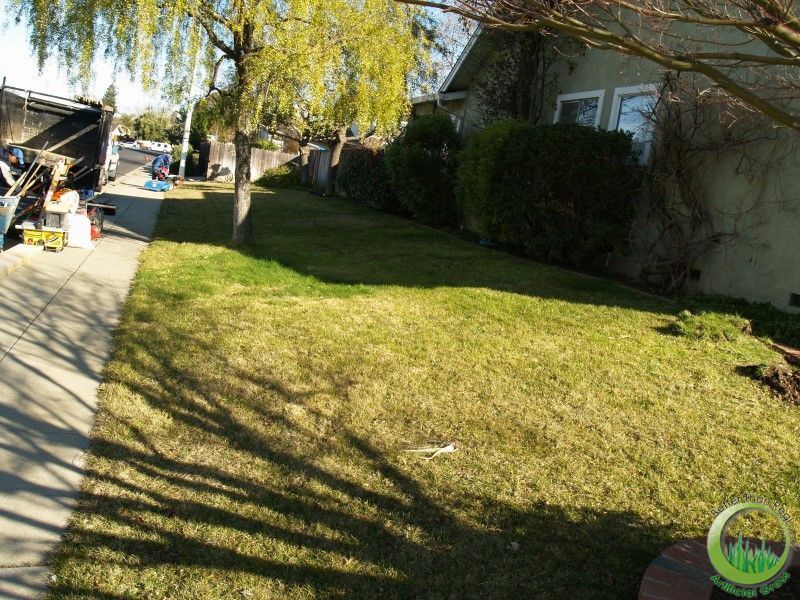 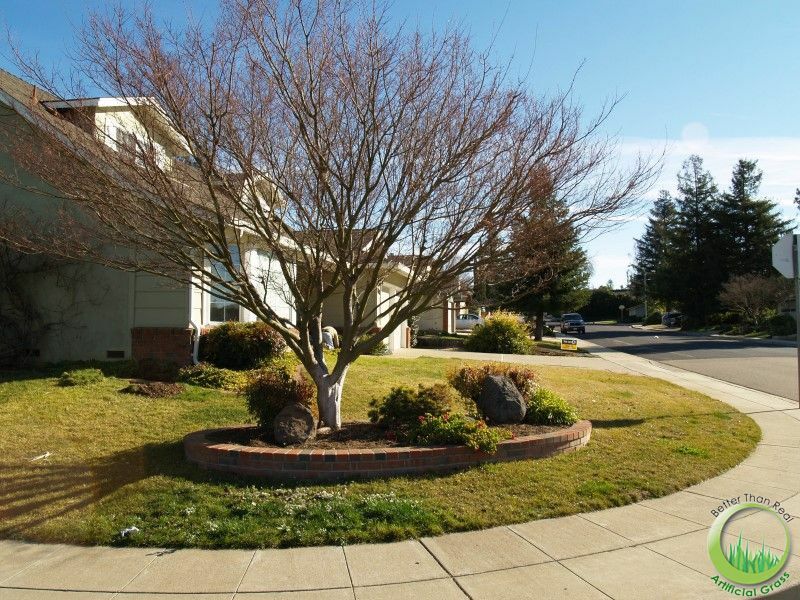 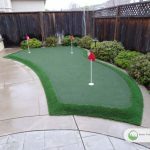 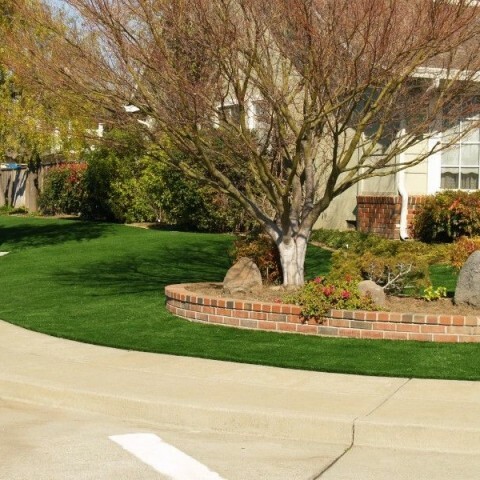 This contractor from Oakland decided to hire Better Than Real Artificial Grass artificial grass because months ago we had done another installation of artificial synthetic grass turf & sod for them. 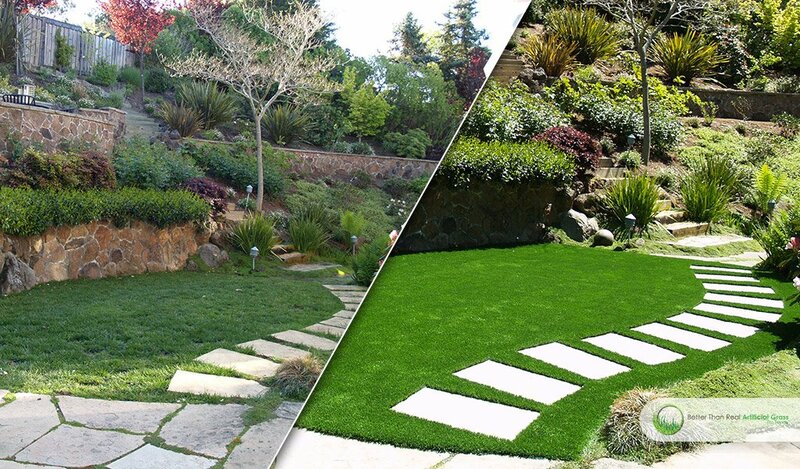 Both companies started a good relationship from the first project, which makes Better Than Real Artificial Grass a professional, reliable and friendly company. 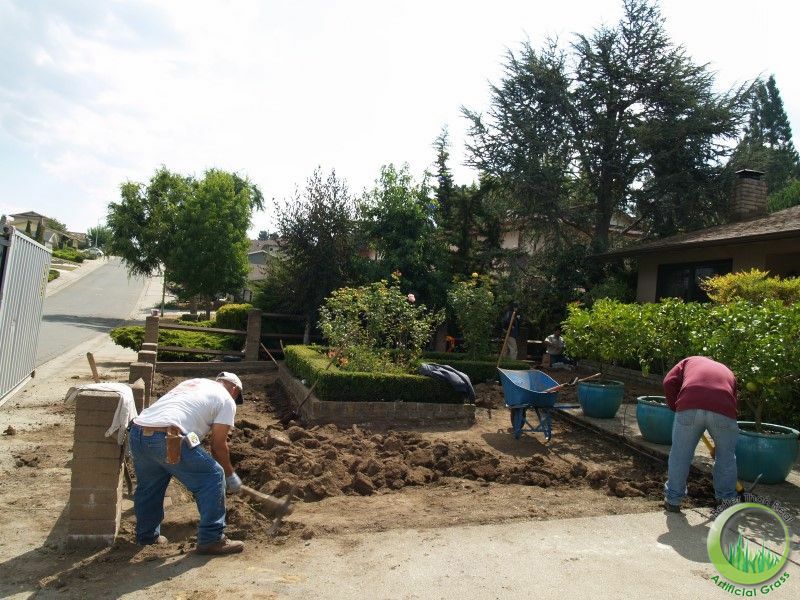 Raccoons were tearing apart the natural grass looking for grubs that live under natural sod. 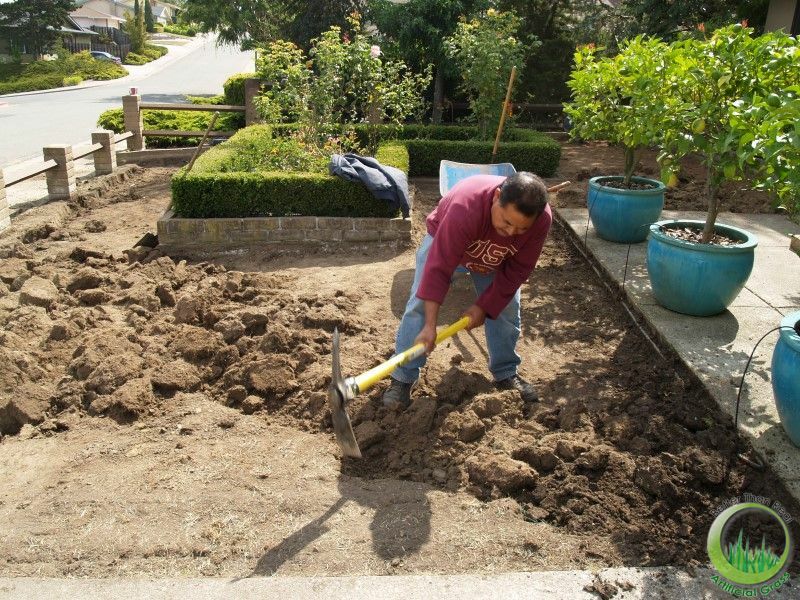 The client couldn’t take it anymore having to deal with this situation very often. 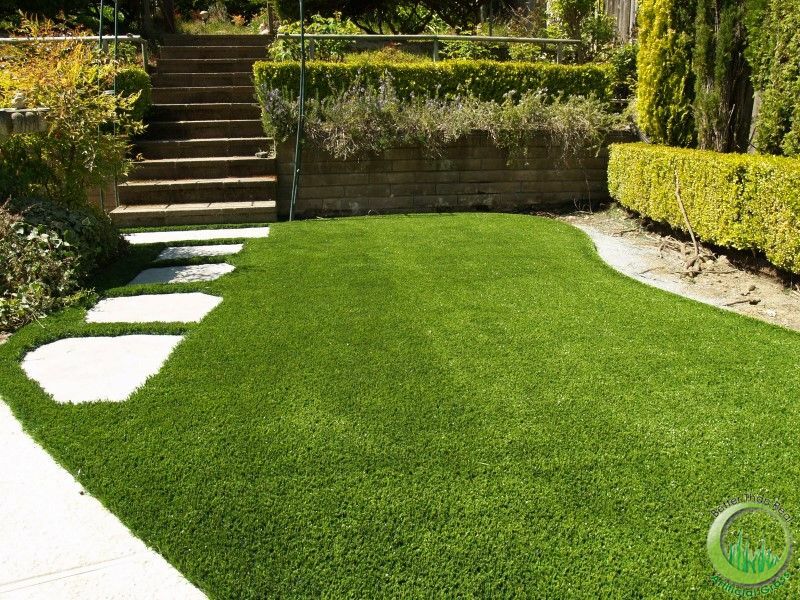 She did some research on artificial synthetic grass turf & sod, read about its benefits and came to the conclusion that this was the alternative to have a green beautiful lawn and get rid of the raccoons attacks at the same time. 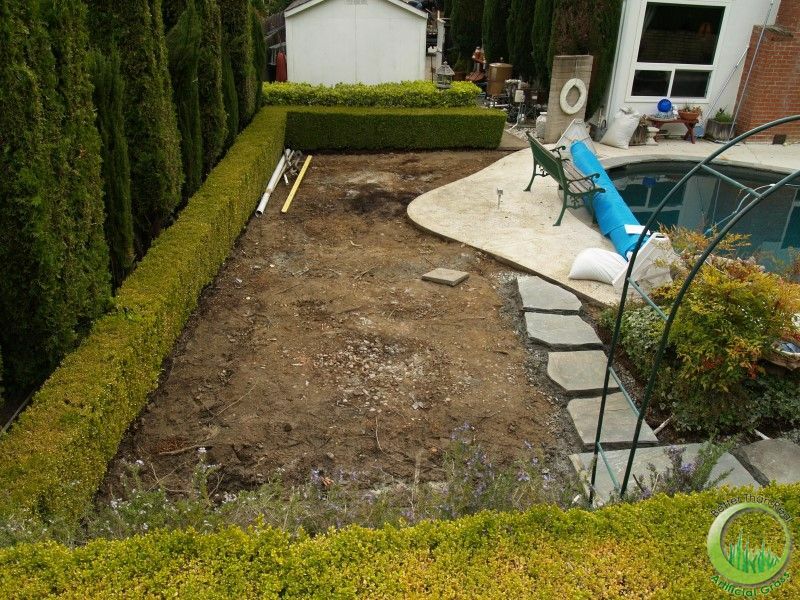 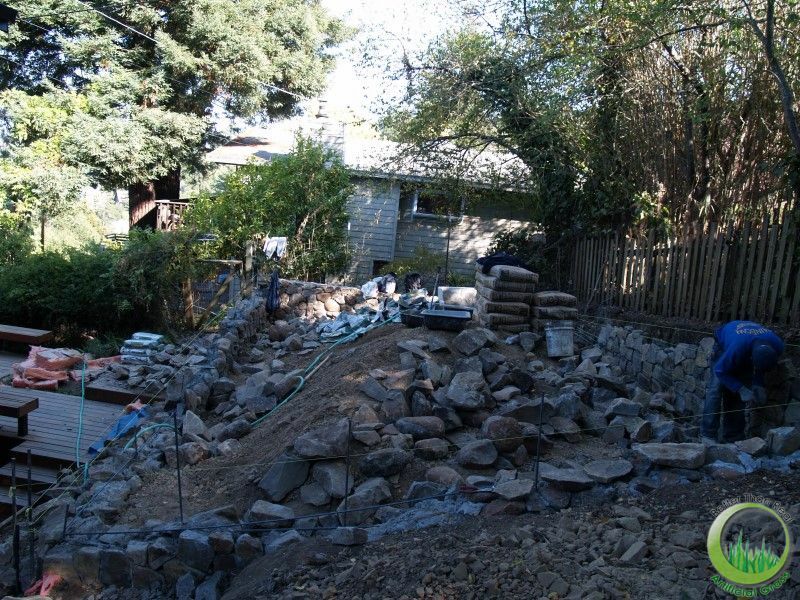 She called a local landscape contractor and luckily for her, the contractor called us up to help them with this project. 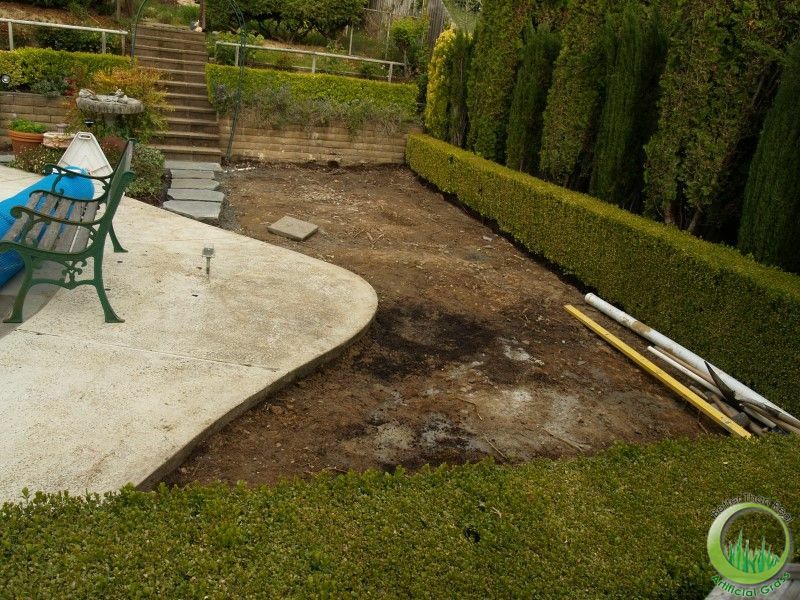 This contractor prepared the surface, framed the area, laid out & compacted the decompose granite according to the procedures. 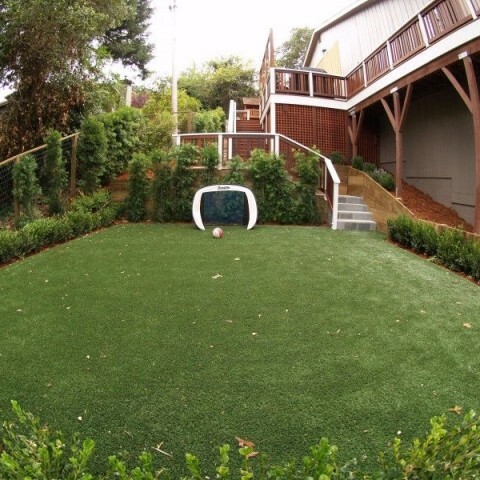 Better Than Real Artificial Grass provided the artificial synthetic grass turf & sod, laid it out, seamed together, secured it down to the ground, infilled it and groomed it. 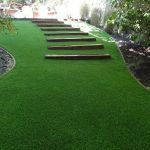 When the artificial synthetic grass turf & sod installation was finished, the local contractor, owner of the house and Better Than Real Artificial Grass owner met together to deliver the project, the client told us she was very pleased and happy about the outcome of the project. 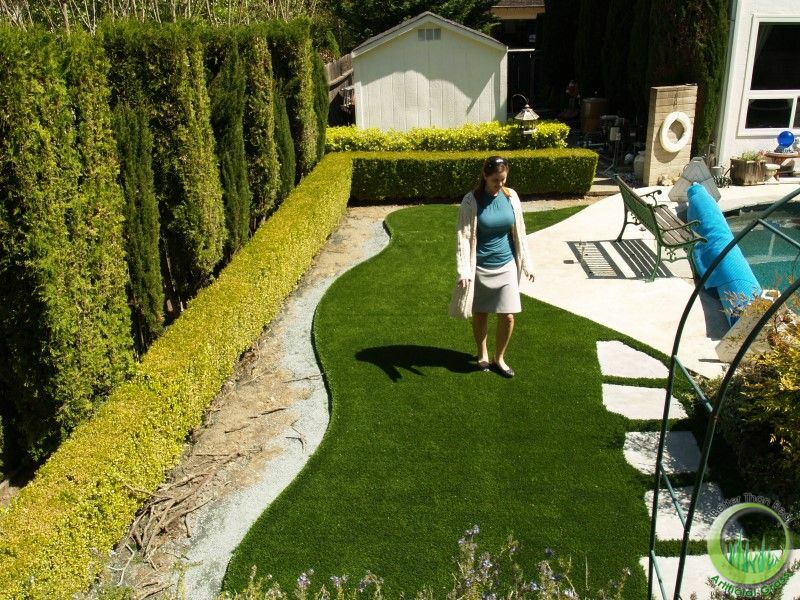 The client has no worries with our warranty of 10 years for materials and 5 years for installation. 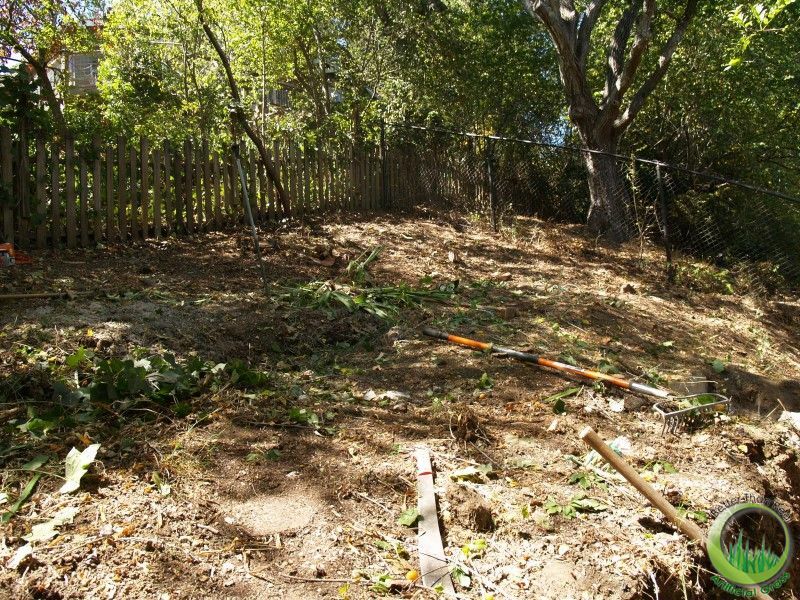 The raccoons are long gone. 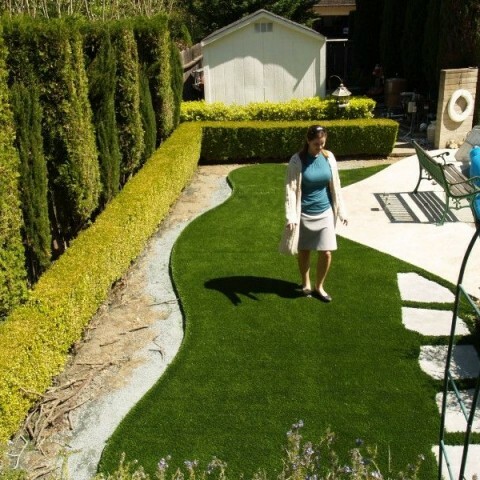 Better Than Real Artificial Grass has many landscape architects and designers as its clients. 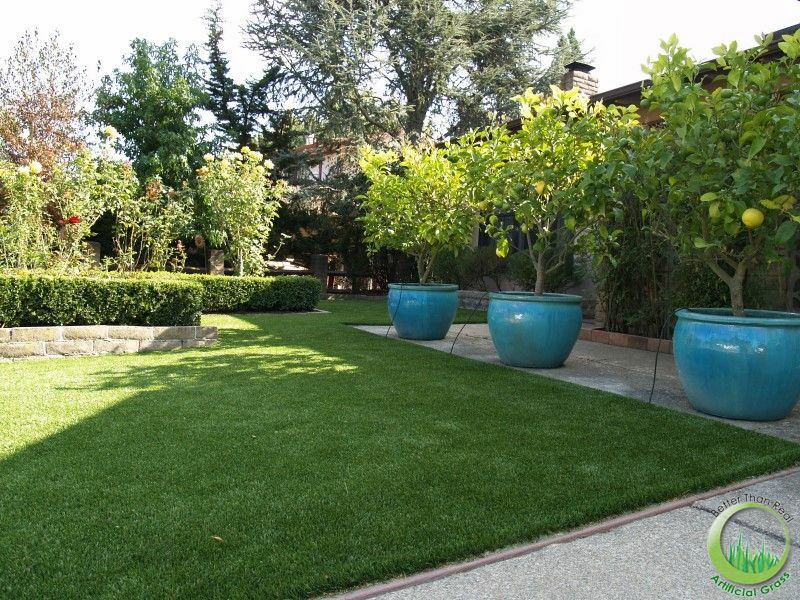 Better Than Real Artificial Grass offers its artificial synthetic grass installation services in the entire Bay Area, California, in cities like Alameda, Berkeley, Burlingame, Concord, Corte Madera, Daly City, Danville, Fairfield, Foster City, Fremont, Livermore, Los Gatos, Menlo Park, Morgan Hill, Mountain View, Napa, Novato, Oakland, Palo Alto, Petaluma, Pleasanton, Redwood City, Rohnert Park, Sacramento, San Carlos, San Francisco, San Jose, San Leandro, San Mateo, San Rafael, San Ramon, Santa Clara, Santa Rosa, Saratoga, Sonoma, South San Francisco, Sunnyvale, Walnut Creek and many cities more. 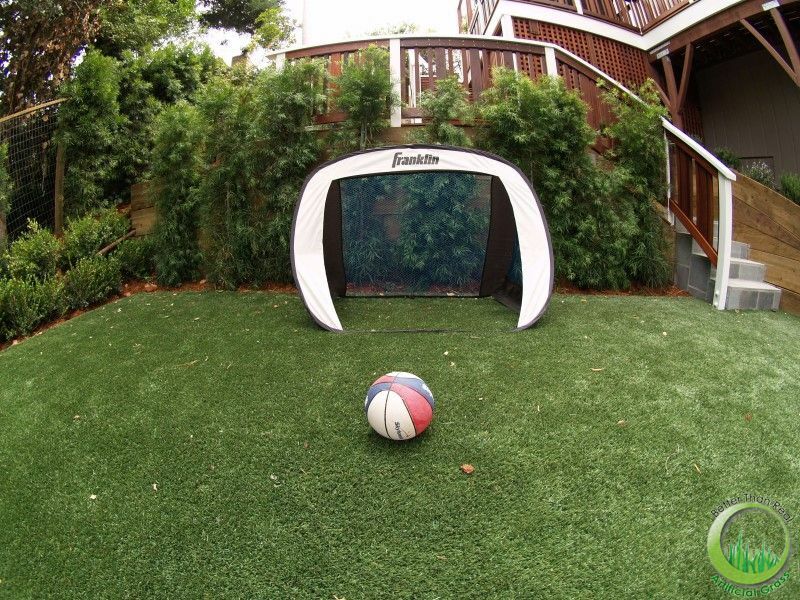 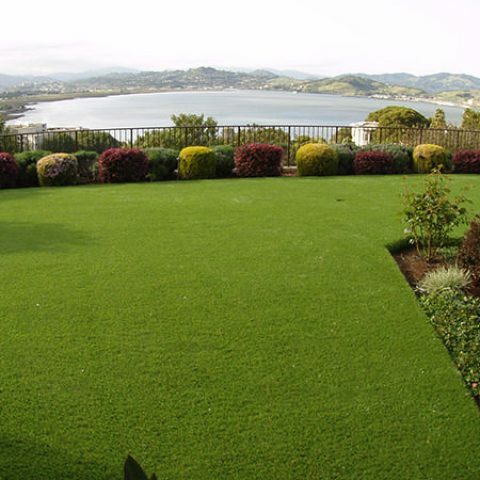 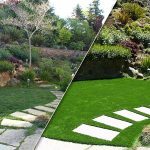 Better Than Real Artificial Grass also installs synthetic grass in the cities of Santa Cruz, Monterey, Pacific Grove, Pebble Beach and Carmel. 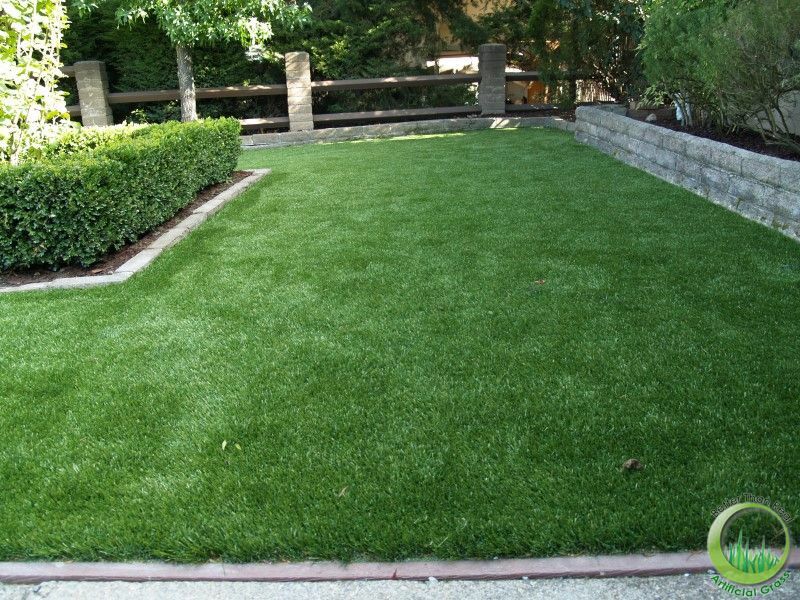 We specialize in artificial synthetic grass installations for commercial & residential applications, artificial turf for dog runs, minigolfs, playgrounds, putting greens and sport fields.